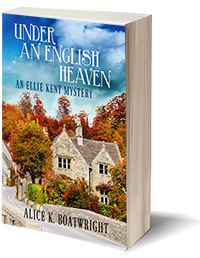 Alice K. Boatwright is the author of the Ellie Kent mysteries, which debuted with Under an English Heaven, winner of the 2016 Mystery and Mayhem Grand Prize. The sequel What Child Is This? was published in November 2017. 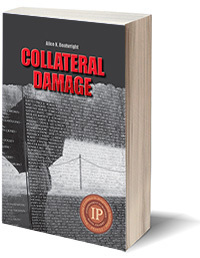 She is also author of the award-winning Collateral Damage; Sea, Sky, Islands; and dozens of published short stories. 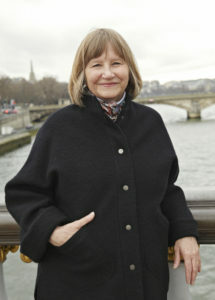 Alice holds an MFA in Writing from Columbia University and has taught at the University of New Hampshire, UC Berkeley, and the American School of Paris. Formerly based in the UK and France, she now lives in the Pacific Northwest. She is a member of the Mystery Writers of America, the Crime Writers Association (UK), PEN America, and she currently serves as President of the Puget Sound chapter of Sisters in Crime. To download high resolution photos and a bio, click here. Sea, Sky, Islands, a chapbook of three stories by Alice K. Boatwright, with illustrations by artist Marsha Karr, is now available in both ebook and paperback editions. In this trilogy of stories about life in the San Juan Islands, a teacher fantasizes about her favorite author to ease her loneliness, an islander finds love with a precariously sober alcoholic, and a young couple has to make sacrifices to keep their dreams afloat – but all find strength and inspiration in the sea, sky, and islands. Sea, Sky, Islands is available through Amazon. Further distribution details will be posted as they become available. 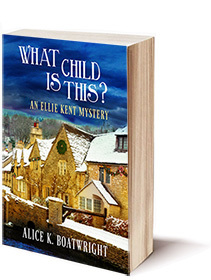 Interested in having Alice talk to your book or writers’ group?